Yolande Barnes leads the World Research team at Savills. With over 30 years’ experience in property research, her areas of focus are world cities, the movement of international capital in real estate, the impact of social, economic and environmental trends on all sectors of real estate markets, global urbanism and mixed use issues. recently sat down with Yolande to gain insight into how the Australian market is fairing amidst a housing affordability crisis and how various other global factors are dictating our current and future state of play. Having established the Savills Residential Research department in 1989, Yolande’s research techniques have extended to global markets and her remit has expanded to all types of cross-border real estate, in both established and emerging markets. Her work involves providing thought leadership and running a global research programme to provide sophisticated, market-oriented advice on all aspects of real estate, global wealth flows and market trends. 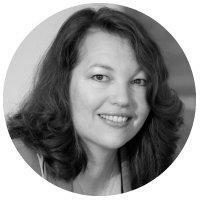 Yolande is an advisor to various academic and business groups. 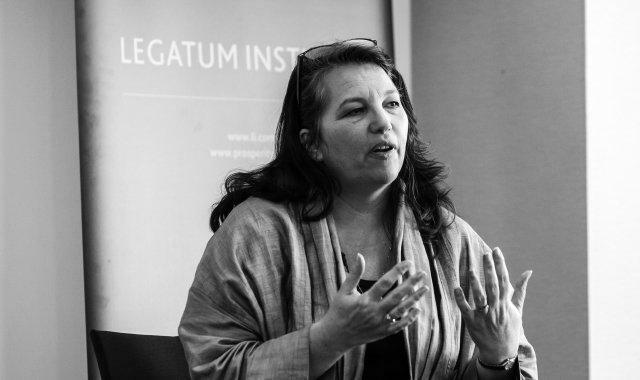 She is a Fellow of the Royal Geographical Society, a Director of Design for Homes, a founding member of the Society of Property Researchers, an Academician with the Academy of Urbanism and Visiting Professor at the Bartlett School of Planning, University College London. She produces regular reports and articles on global cross-sector and UK residential market trends and regularly appears in the international press, on television and radio. Q. What's your take on the debate about Australia's housing affordability crisis? Australia is just one of many developed countries where the cost of homes is a major concern, particularly for young people with no access to cash lump sums or the bank of Mum and Dad. More precisely, it is a major concern in global gateway cities where asset price inflation has been particularly acute so Sydney and Melbourne are most affected although now, as elsewhere, this inflation is spreading to alternative neighbourhoods and outlying towns and districts. Q. What's the broader outlook for residential real estate markets in Australia? Australia contains many different residential markets. The global gateway cities of Sydney and Melbourne have seen very high residential price growth in common with many other cities around the world. Levels of growth are likely to level off this year, with prices remaining on a ‘high plateau’ perhaps for some time. We expect future capital growth to be in line with rental growth in future but the fundamental drivers of demand (population growth and wealth creation) and supply (constrained by land availability) will likely ensure this is positive. Other cities in Australia are at different stages of the property cycle but, in common, with other mature world city markets, we think it will be the suburbs and outlying regions of Sydney and Melbourne which will see the highest growth this year. Global and local economic factors will govern the markets elsewhere. For example continued low commodity prices will likely suppress markets in WA. Q. More specifically, is Australia's apartment market as oversupplied as pundits are claiming? Where apartments have been built solely to meet Asian (principally Chinese) investor demand, there may be a problem of oversupply while China enforces restrictions on capital outflow. Such cases are a drop in the ocean however compared to stock designed for and priced for local markets. Q. How much longer is the low interest rate environment going to sustain the hunt for asset yield? For a long time. Real Estate is now all about income. The global hunt for income is a long term phenomenon resulting from the need for institutional investors to pay the pensions of aging populations. Expectations are likely to be of lower interest rates for longer so, although investors will often seek the highest rental returns possible, these are likely to be lower than in the past. The weight of money looking for income and creating highly competitive real estate markets, even in hitherto ‘alternative’ sectors, could well push investment yields even lower in some currently high-yielding sectors. Q. How are global macro-economic factors like Trump and Brexit affecting demand for Australian assets? Arguably, risk in the whole Asia Pacific region was recalibrated after these events and Australia, as a stable, safe jurisdiction with good land title must have benefitted from investor interest. The risk is that if the Australian electorate display some of the same characteristics as the UK and USA, then it could look less attractive to overseas investors for fear of similar political fallout and consequent uncertainty. Q. What potential Black Swan events could confront the globe? As Black Swans are essentially unknowable events, I really have no idea. Perhaps what is important is that people’s expectations of an unknown event have increased. The level of uncertainty generated by Brexit and Trump’s victory has heightened this. Some possible derailleur’s include: Far right presidential victories in France and other populist political swings in Europe and beyond. Greek debt default still haunts the EU as does a potential Italian banking crisis. War involving North Korea is another fear likely to disrupt some markets. Q. Where are the greatest real estate opportunities over the next 5-10 years? For Australia, we expect to see the development of purpose-built, build-to-let in the residential sector. ‘Multi family housing’ is a mature asset class in the USA and emerging in the UK. It is also likely to emerge in Australia, perhaps in the form of new, fine grain mixed-use live- work schemes. Q. Is Australia's government debt as poisonous as it is depicted by the conservative side of the political spectrum? According to Ged Rockliff, Head of Residential at Savills Australia, in a low interest rate environment, responsible use of debt is absolutely acceptable particularly when it is being invested in vital projects which will yield both economic and social dividends. “Provided it is at a sustainable level and will generate productivity in our future, I think the Government’s use of debt can improve and empower the whole city and those that live there. One could argue the benefit of infrastructure/ transport such as North and West Connex, Light Rail in Parramatta, Badgerys Creek and the Sydney CBD light rail not only improves productivity and amenity but also encourages further investment from the private sector, both locally and internationally”. For More Information On The Future Of Housing Affordability In Australia, Be Sure To Check Out Our National Event Series ‘Let’s Get Affordable – Opportunities For Developers In Responding To Australia’s Housing Affordability Crisis’. The Events Will Be Held In May In Brisbane, Sydney And Melbourne. To Find Out More, Click Here.